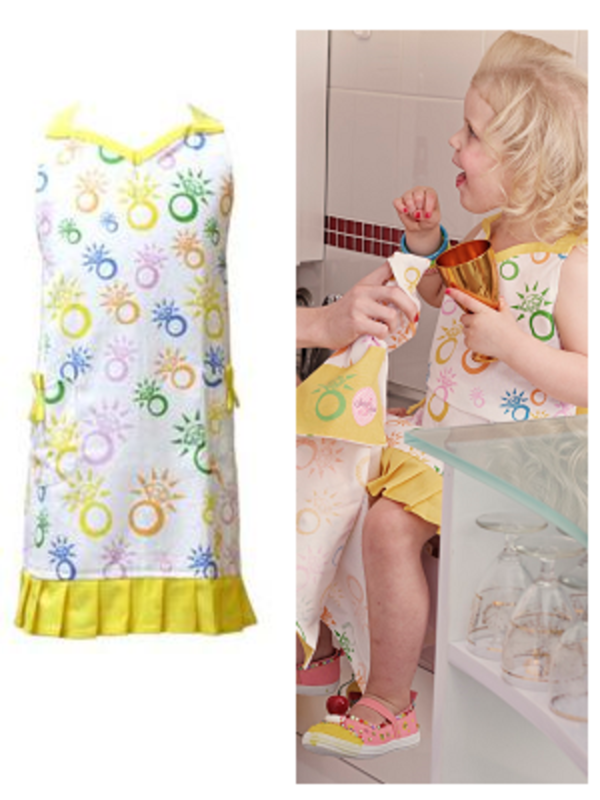 This pretty sparkly Diamond Ring Kids Apron is designed with a love for sparkly coloured diamonds. Stand out of the crowd with this Sunshine Yellow Apron. It features a sweetheart neckline, two pockets with adorable bows and a ruffled frilly hem line. This Diamond Apron ties at the neck and waist, therefore one size fits most. A matching Apron for Women, Tea Towel and Oven Mitt are available in this range. The inspiration for this line comes from my amazing BFF who is a Gemologist & Jeweller.